The great thing about Hanukkah books is that they're supposed to be full of miracles and the unbelievable. So don't even have to think twice when latkes get up to walk away or an old woman thinks a bear is a human or a polar bear decides NOT to eat a lonely traveler for lunch. I've grouped these books for older kids and younger kids, but it really depends on the maturity of the child, so mix and match! I've started with the ones for older kids and sort of worked back. Kids who like scary books will love Hershel and the Hanukkah Goblins by Eric Kimmel. It's a Caldecott Honor book too! Moishe's Miracle by Laura Melmed isn't even a little scary and has a nice moral and all. 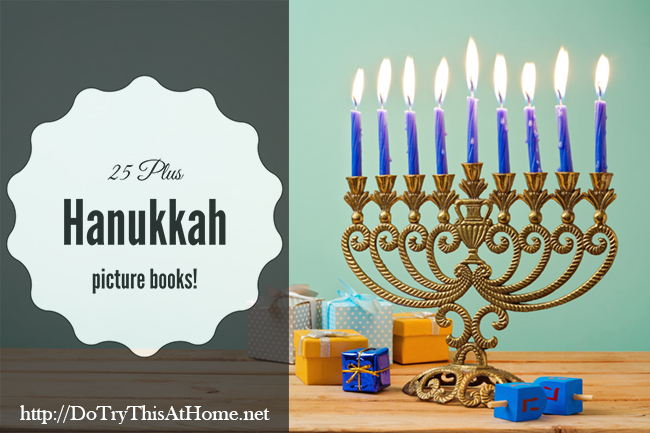 Caleb describes how his family celebrates Hanukkah with four "chapters" worth of information. What's nice about this book is that many of the pages have little sidebars with even more information, so it can be adjusted up or down depending on the child's comprehension and interest. It's the dreidel song, but with Winnie the Pooh. It's not the greatest, but still...it has Winnie the Pooh and a song. 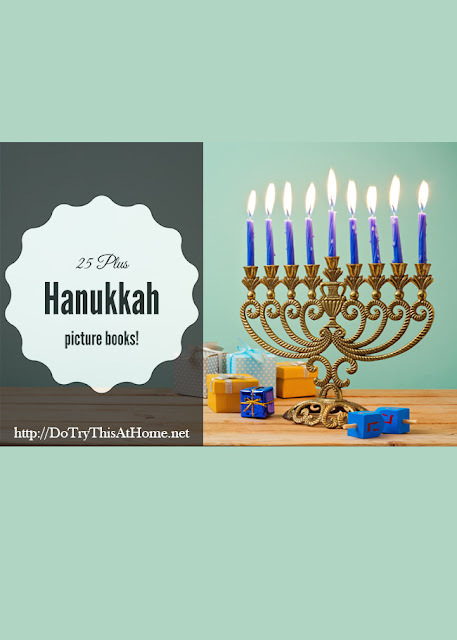 A simple celebratory story that shows most of the traditions with just a sentence or two on most pages, the menorah narrates the story while getting brighter and brighter each night! Dinosaurs come to every Jewish holiday. Of course.